This series drum shipper with compact and reasonable structure, convenient operation and maintenance, large production capacity, high rate of qualified wood chips. 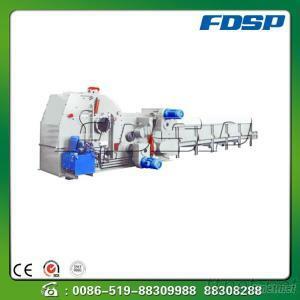 low energy consumption, is the ideal equipment for product high-quality wood chips. in order to meet the different needs of users for the length of wood chips, chip length can be adjusted in a certain range. the feed has two forms which are horizontal and inclined, it has two discharging ways which is upper discharging and bottom discharging for the users to choose. Cutter adopts wear-resisting chromium plate structure, greatly prolong the service life.